BHP Billiton has revealed that it is planning to build what would be Australia’s biggest underground coal mine in the close proximity of Gunnedah in the fertile Liverpool Plains region of northern New South Wales. 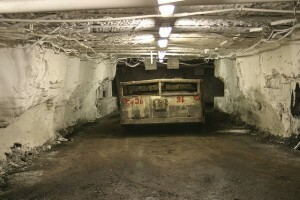 According to the article on The Australian, the mining giant has already lodged all the necessary documents to the Federal Environment Department, in which it revealed the plans for its Caroona underground mine, which, according to them, could export 10 million tonnes per year of high quality thermal coal starting as early as 2021. The submission will now have to be approved from the company or governments after the possible environmental impact of the proposed new mine is fully assessed. The mine, which BHP said would run for 30 years and employ up to 400 people, is facing stern community opposition regarding its possible impact on the region’s water, but BHP claims the mining would not affect the region’s agricultural activity. According to the documents submitted by BHP, construction of the first stage would take three years. The company had previously said construction could start in 2018 but had given no indication of the size of the planned mine.